How do I get an HP Deskjet up and running? HP has their own lame software they use to update their printers, and I'm not sure it's Linux compatible. Can anyone help me? It's wireless, but it's not showing up in the Printers tab in System Settings. Linux Mint Cinnamon 64-bit, Version 19 Tara. Re: How do I get an HP Deskjet up and running? so which model of HP Deskjet do you have? and which version of Mint are you running please? Do you have hplip installed? Which model printer and what's your version of Mint? 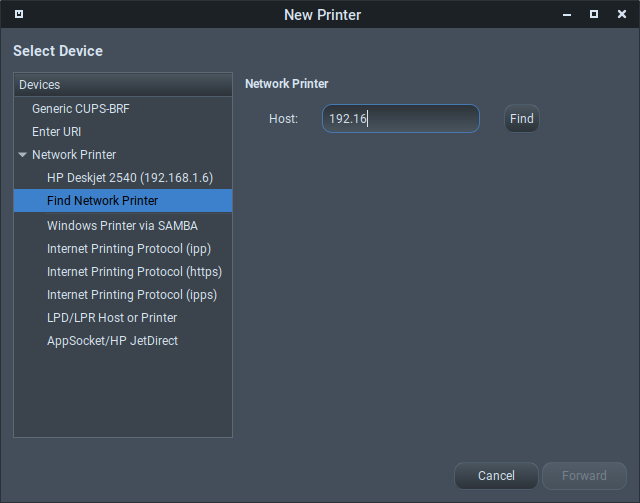 If the printer is connecting to your wifi and has an IP address you should be able to add it via the Printers settings module using the network printing option. 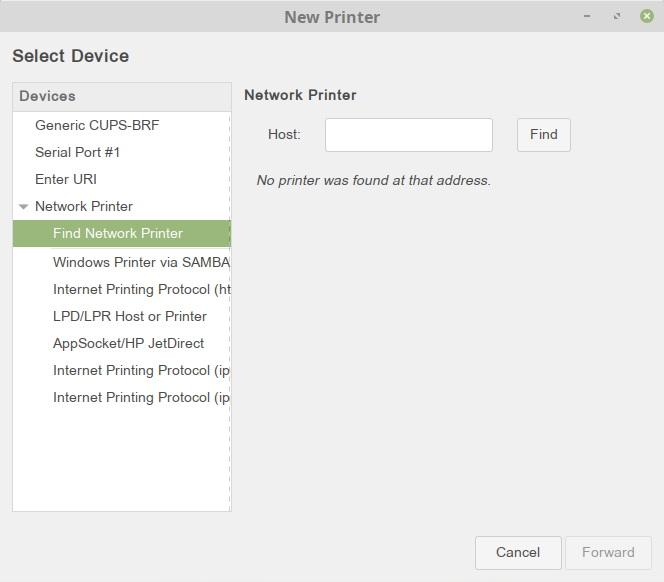 If you need to set it up to use your wifi there will be a way, but it might be dependent on the printer model. I am running Mint Cinnamon Tara 19, sorry for not mentioning that sooner. hplip is already installed, I think. I genuinely do not know why printing is such an issue for people any longer ... especially for HP printers ... even for Linux Mint. I didn't do anything to make that happen. A service called cups-browsed made that happen. It's all automatic. I think this covers the rest of the steps using HPLIP Toolkit including setting up your printer on your wireless network if necesary. Indeed - the HP HPLIP installer script is not currently compatible with Mint 19 and using it will lead to problems further down the line applying Python3 updates.